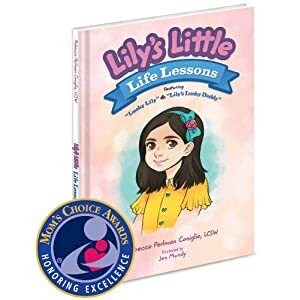 Here is the first book in a series about Lily, a little girl eager to share the lessons she has learned and the gratitude she feels for the people in her life who are her greatest teachers. Parents read this with your children and help them explore what makes them feel lucky! This is the first book in a series about a little girl named Lily. Lily writes about the gratitude in her heart. She shows and tells her thankfulness for her mother, grandmother, and father. It is a sweet story. After you have read this story to the boy or girl in your life, I suggest a conversation about what they are grateful for in their lives: think about the people especially and the things they do together. Discuss too how the child can express their gratitude in a visual way to the people they love.